Auroch Minerals have kicked off their highly anticipated drill program at the historic Tisova mine in the Czech Republic. The mine, which was mined for Copper for centuries, was never evaluated for its Cobalt or Gold potential, however Auroch have uncovered some tell tale signs in the historic waste dumps that management believe may lead to a Cobalt/Gold discovery. 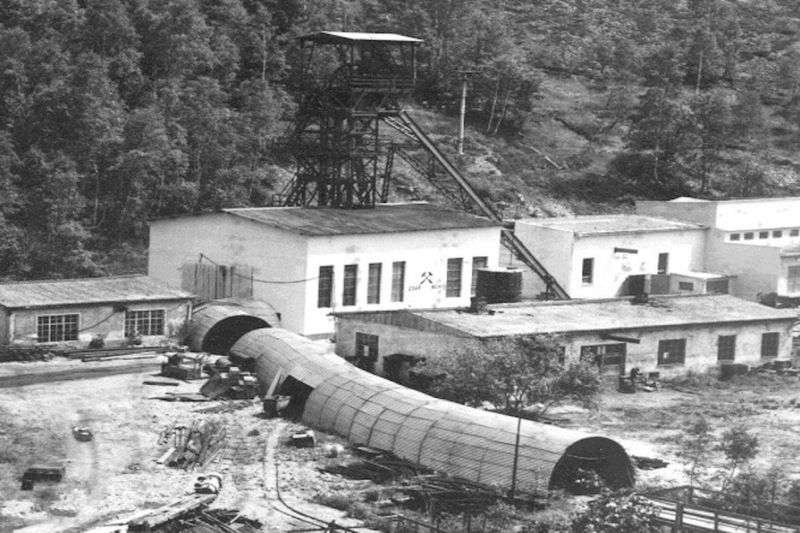 Modern exploration techniques may also lead to a renewed copper resource at Tisova given that mining and exploration ceased at the historic mine back in the 1970s. Surface grab samples from the Tisova’s waste dumps confirmed its multi-metal potential with assays grading up to 0.69% Cobalt, 17.1% Copper, 3.7 ppm Gold and 178 ppm Silver. The aggressive, cashed up, Perth-listed explorer has wasted no time following up on the opportunity. On Friday, Auroch began spinning the bit on a four-hole diamond drill program at the project for a total of 1,500 metres. The drill locations are based on 3D mapping that Auroch have already completed as a first step in unravelling the potential riches that were ignored by previous generations of miners. Unlike most exploration projects, Auroch is starting at Tisova with a clear picture of the location of the orebody. The first hole will target a thick, sulphide-rich portion of the Tisova orebody, with mineralisation anticipated between a depth of 250 metres and 460 metres. The total depth of the hole will be 500 metres. The drilling program is expected to take between six and seven weeks with core to be cut and sampled on site and sent to ALS in Romania. Results are expected to be turned around within about four weeks. The fact that Tisova is more like a drill-out than a green fields exploration project is one reason for the anticipation around the current drill program. Even more importantly, Cobalt is the major target at a project which is located in the epicentre of booming EU demand for the clean-tech metal. Cobalt prices have doubled since the start of 2017 as the boom in renewable energy metals gathers momentum. The anticipation around Auroch’s drill program is already arousing the market with Auroch shares jumping more than 10% on Monday and there is clearly a lot more to look forward to.